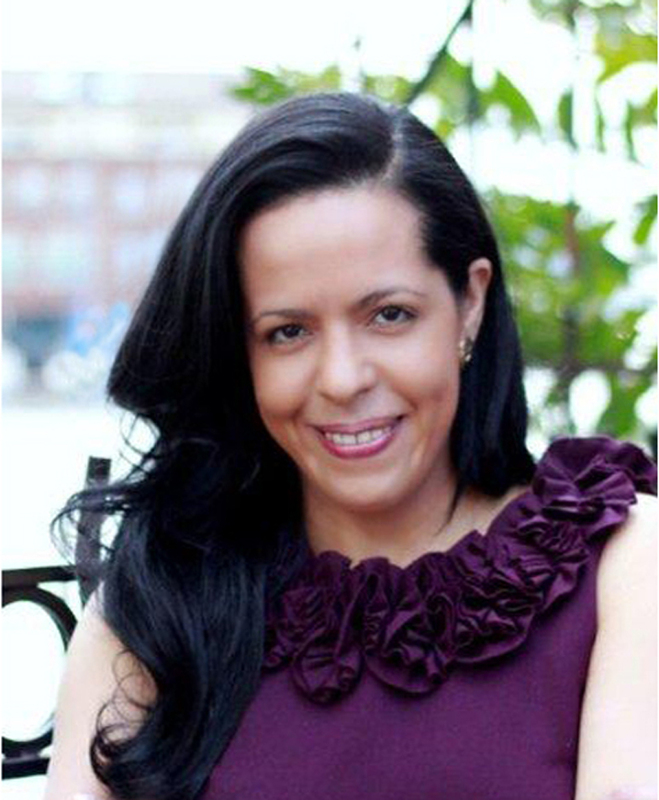 Elianne is the Principal and CEO of Speak Hispanic Communications. Known online as @ERGeekGoddess, she is a nationally recognized social entrepreneur and Latino community advocate, building large-scale engagement through social media and public relations and encouraging inspiration through writing. Her specialty is the production of high quality online/offline advocacy campaigns that seamlessly connect political leaders, community advocates and next-generation influencers in the U.S and Latin America. She is considered one of the most influential Latinas in social media. Her portfolio includes collaborations with the White House, the U.S. Department of State, the National Park Foundation, The Smithsonian Museum, and major Latino and civic-centered organizations in the U.S. She’s also the Social/Cross-Cultural Communications Advisor for the Faces of Diversity Initiative in Medellín, Colombia and is an Advisory Board member for several international organizations, including the World Brand Congress and The Political Institute for Women. In addition, she leads creative workshops and lectures at conferences and universities throughout the US and abroad. In her 18 years of experience, Elianne’s professional roles have included Creative Direction, Copywriting, Public Speaking, Public Relations and TV Commercial Production, and the development of broadcast, multimedia and social media campaigns for clients such as Procter & Gamble, Panasonic, SlimFast, Chivas Regal, HSBC Bank and AARP, among other top brands. She was also the VP, Creative Director and Co-Founder of i3 Creative Group, managing TV commercial production teams working concurrently in the US, Mexico, Uruguay and Argentina. Awards and recognition she has received include the 2013 Brava Award from Smart CEO Magazine, the 2012 Game Changer Award from Politic365, and the 2012 Best Microblogger Award from LATISM. She’s also been nominated to the 2013 Top 100 Minority Business Enterprise, the 2012 Yahoo Women Who Shine in the Public Service category, and the 2011 US Latino Leader of Year Award by Miller Coors. Her writing has appeared in numerous books, including the Chicken Soup for the Soul series. Her commentary, profiles and interviews have been featured on USA Today, ABC/Univision, CNN, Fusion, NBC Latino, Fox Business News, The Huffington Post, Voice of America, Latina Magazine and many others. Elianne has a BA degree in Communications, Film and Video with a concentration in Advertising and Public Relations from the City University of New York and a Certification as a Teacher of English as a second Language from Regents College in London, UK. Find some of her past and current projects at ElianneRamos.com, read her columns at Huffington Post; connect with her on LinkedIn or Facebook, check out her channel on YouTube or follow her on Twitter @ergeekgoddess. Spectacular!! that is what I call a well prepared person. In the name of all the people who read the Examiner, thanks for having Elianne in your staff of writers. hola mi nombre es guillermo y quiero poner una cia de envios de email , tu padre me recomendo a usted y tambien quiero hacerle una propuesta para la publicidad de su blog en mi pagina, ya que la cual tiene mas de mil vistas diariamentede usuarios , en la republica dominicana para darte mas publicidad a tu blog . I was wondering how I might get in touch with you about possible social media sponsorship opportunities with your site, as well as partnership opportunites with LATISM. Feel free to reach out via e-mail if you’d like. I’ll look forward to potentially corresponding with you. So sorry about replying so late, I just saw this! Please feel free to email me at elianne@latism.org or call my cell 646-932-7752. Look forward to chatting with you. It was so amazing to meet you, Jimmy, I’m so proud of what each and every one of you has accomplished so far. Look forward to reading in the media about the huge waves all of you will be making in the world of business! Thanks so much for linking back!